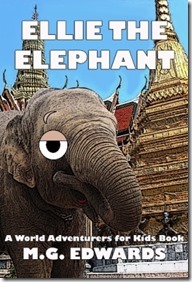 Inspired by my adventures in Thailand and real elephant polo matches, Ellie the Elephant features Ellie and her family, Monk the Monkey, and human boys Wasan and Wattana. Fun for kids and adults alike, the story will introduce them to the amazing game of elephant polo and inspire children to dream big. The story has 21 color illustrations.